Every year in the United States about 30,000 new cases of oral cancer are reported, and every year 8000 oral cancer causes the deaths of 8000 people. Oral cancer occurs about twice as often in men as women. Oral cancer causes so many deaths because it is often diagnosed at a late stage. Patches, including white, mixed red and white, or bright red space patches. Swelling, lumps, or numbness on your face, neck, lips, or mouth, or sores in these areas that do not heal after two weeks. If you notice any of these signs, call your doctor but do not panic. These symptoms are sometimes caused by other conditions, but it’s wise to be certain. Regular self-examination is recommended, but does not substitute regular examinations by your dentist. If there is a concern, biopsy can confirm any diagnosis. Early detection of any cancer is the key to better survival. Tobacco – nearly 9 out of every 10 people who develop cancer of the mouth use tobacco in some form including cigarettes, cigars, pipes, or chewing tobacco. Risk of cancer increases with the amount used and how long it is used. Excessive alcohol use – nearly 4 out of every five people who develop oral cancer drink heavily. Combining heavy tobacco use with excessive alcohol consumption significantly increases the risk of developing oral cancer. Exposure to ultraviolet rays – excessive exposure to ultraviolet rays, whether from the sun or tanning beds, increases the risk of cancer in the lips. Age – the risk of developing oral cancer rises with age. The majority of people who develop oral cancer are over 40, while half of all oral cancer patients over the age of 65. 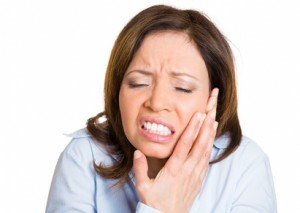 Irritation – irritation of the soft tissue in the mouth over time can cause sores and ulcers that may become cancerous. Ill fitting dentures have been linked to the development of oral cancer, though some studies suggest there is no difference in the incidence of oral cancer between denture wearers and those with their natural teeth. Some believe that ill fitting dentures can trap cancerous substances such as particles of tobacco and alcohol residue next to the gum tissue and increase the risk of developing oral cancer. Small-diameter implants can be used to to stabilize your dentures and reduce rubbing that causes irritation. For an oral cancer screening, or to explore your denture alternative options with Dr. Daniel Vinograd, please call (619) 640-5100.